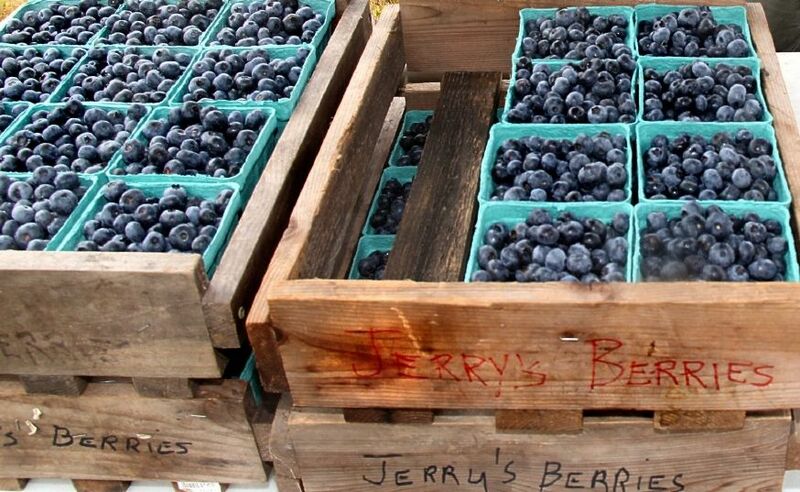 What started as a “hobby” in nearby Perryville has grown over the past decades into a thriving seasonal blueberry business, Jerry’s Berries. 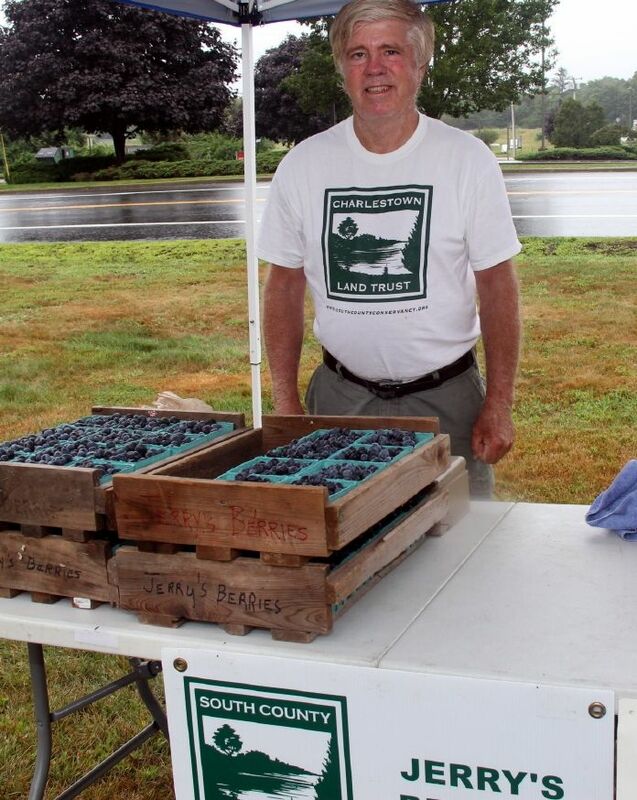 Jerry Lynch and his family had the acreage and an ideal setting for growing blueberries. What goes better with steamers and fresh corn after a day at the beach in summertime South County than blueberries? 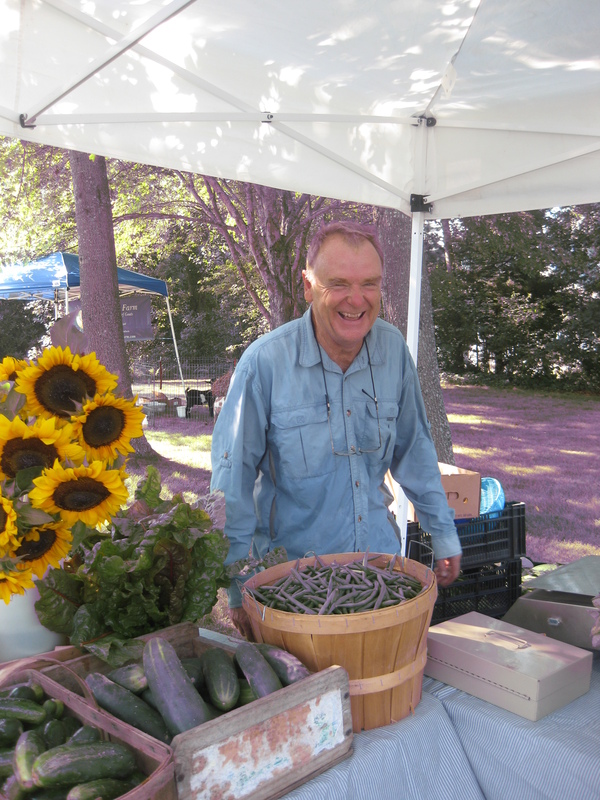 Jerry has brought his sweet harvest to our market since its very beginning six years ago, and people come back to the market each week, even each year, for more. Can Paradise be faraway? Not if you visit our market and stop at Paradise Hill Farm. 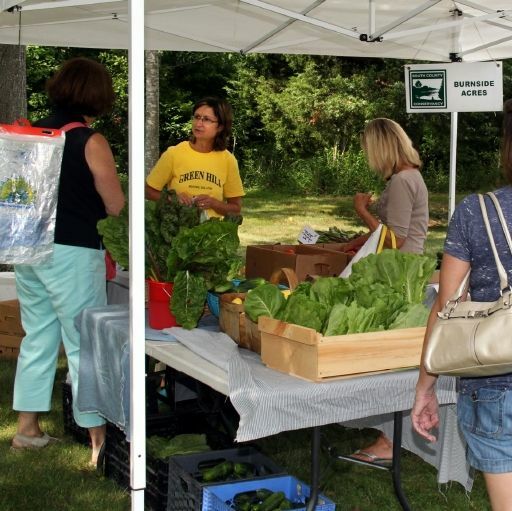 This year, farmers Ted and Shirley Robbins have added our market to their schedule bringing with them an array of vegetables, fruits, herbs, and flowers that is as appealing to the eye as to the taste buds. Viewing their display of produce each week is just the first step on a delicious and healthful journey. If you shop, there must be a way to carry those purchases. 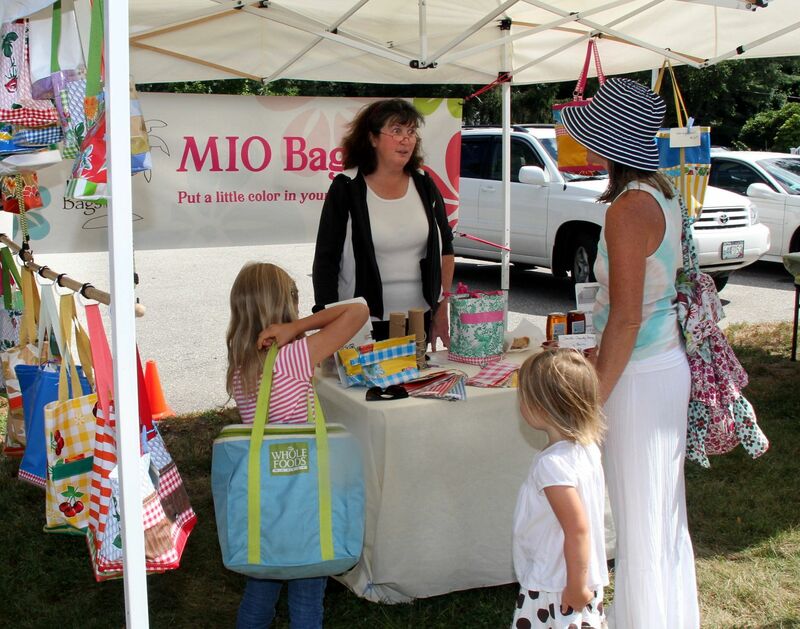 Beth Iovino of Mio Bags provides packaging that is as eye-appealing as what may be put inside. Her reusable oil cloth creations are available in a host of sizes, patterns and colors – there at her market stand or made to order. Beth, our market manager, is indeed busy each week expanding her inventory with more bags and an imaginative selection of useful items. 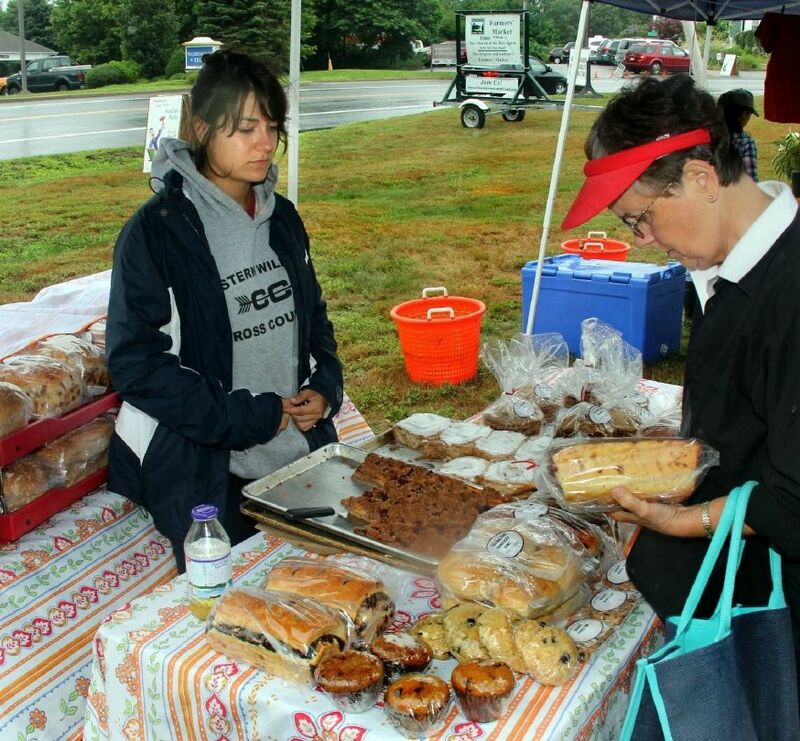 Follow the trail of shoppers with a yen for a cinnamon roll or cookie treat and you’ll likely be standing next to the Great Harvest display of baked goods – breads and pastries made from scratch with whole grains and many local ingredients. 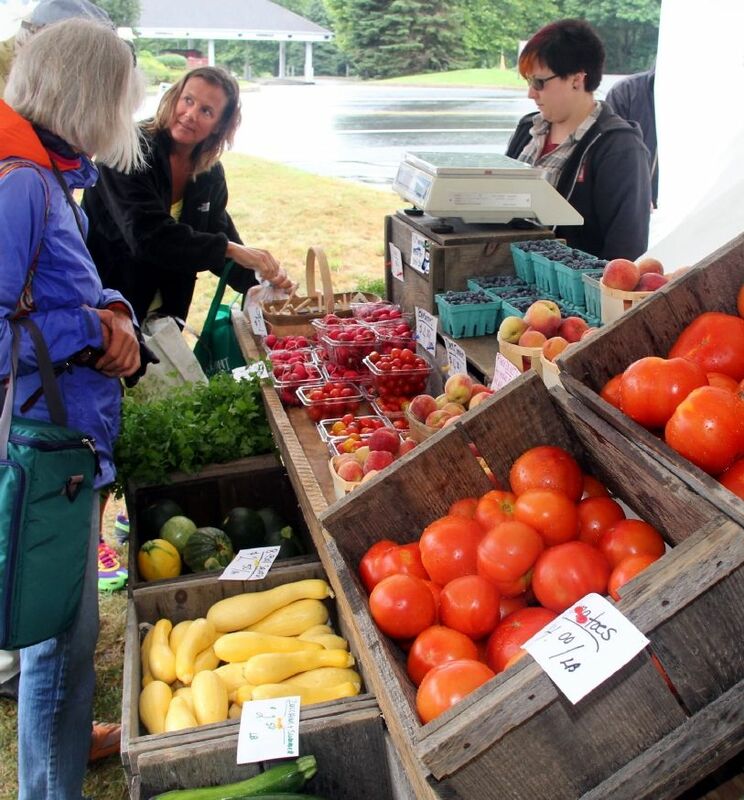 Each week you’ll be greeted by a smile, perhaps a sample, and then a choice of tasty and healthful items that provide a perfect compliment to the fresh produce available from surrounding farmers and vendors. MORE VENDORS – OLD AND NEW…. Burnside Acres is said to have been operating in the 1750s, but the Jacksons (John and Vikki) have been farming there for “only” the past 35 years. Located in the Green Hill/Charlestown area, they grow a full assortment of vegetables, herbs, and flowers at their original site, and now also on West Beach Rd. 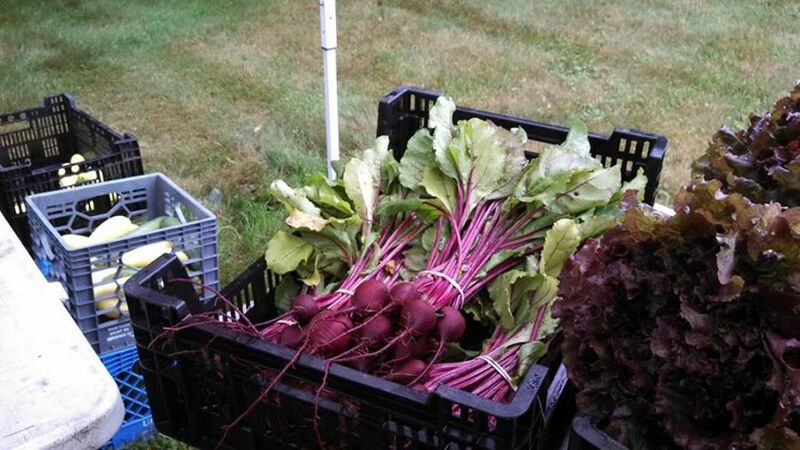 Burnside Acres’ offerings, local as can be, continue to be available weekly at the Charlestown Farmers’ Market as they have from its very beginning. 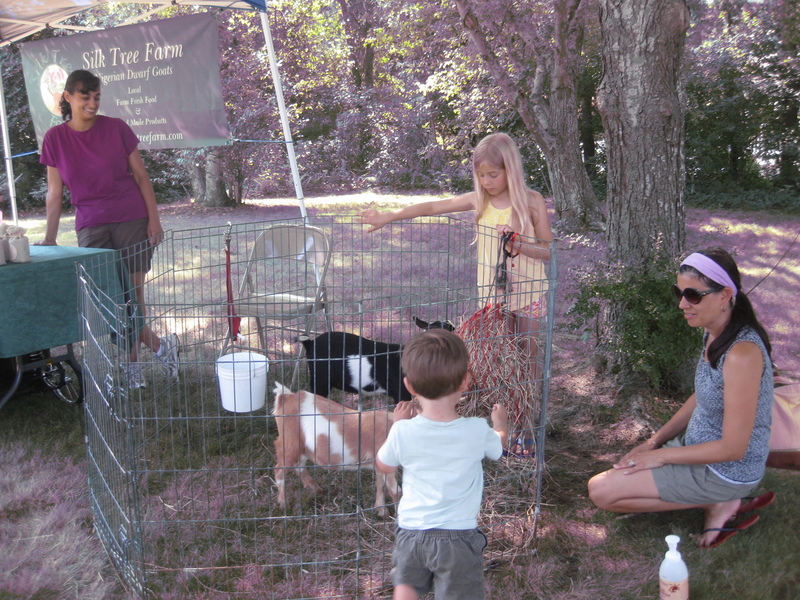 The sight and sound of real live farm animals ties the senses to farm life – right at our weekly market. The experience can be irresistible to shoppers on any given market day – especially the children. 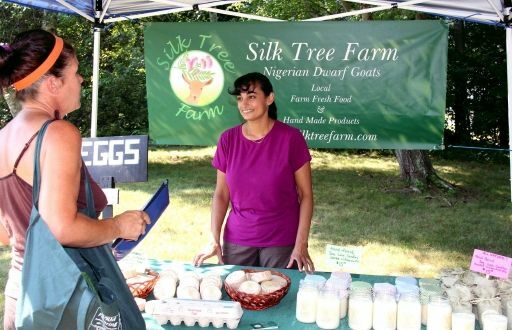 This year, Silk Tree Farm, owned and operated by Cathy and Tom Bardsley, bring along their Nigerian dwarf goats each week to help market goat cheese, free range eggs, goat milk soap and soy candles, among other products. 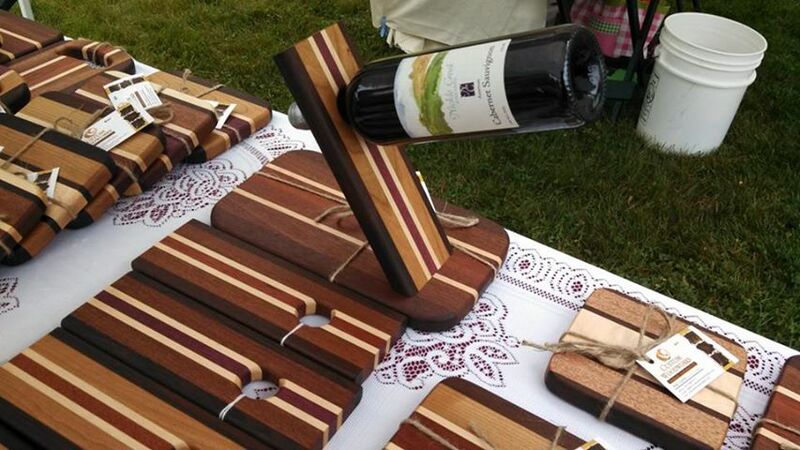 Each week we plan to present at least two vendors from our 2013 Market – one veteran and one newer member. Read a little about each business here….and then come on over to meet the market participants in person! 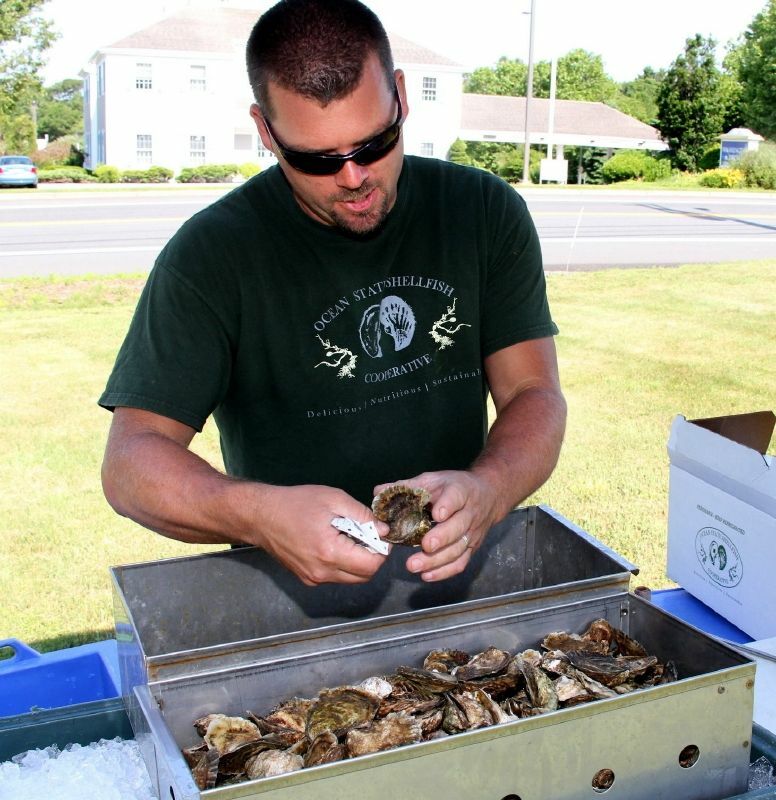 Shellfish from Ninigret Oyster Farm have been offered at the Charlestown Land Trust Farmers’ Market since it opened in 2007. Rob Krause, the oyster farmer, sites his oysters as the primary crop (award winning flavor!) 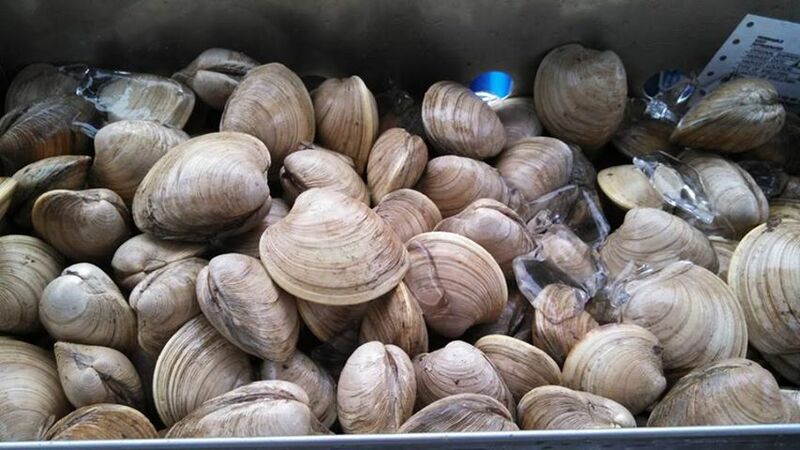 but little necks, steamers and mussels can be found most weeks – all sweet and fresh from Ninigret Pond just down the road. Walk through any farmers’ market and it’s likely that fresh flowers will be the eye catching, eye stopping display. This year, to our delight, we have cut flowers from Petals, a local flower farm just down the road. 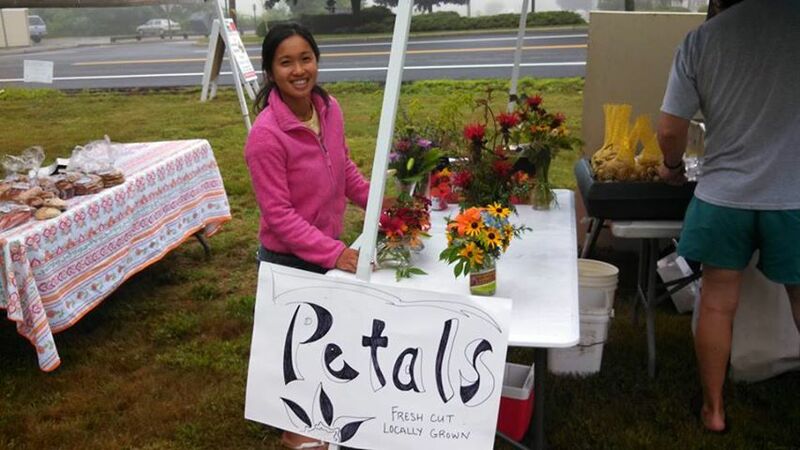 Thanh Thanh Luu grows, arranges, and transports the rainbow of blooms she harvests each week. Busy day at the market for non-profits! 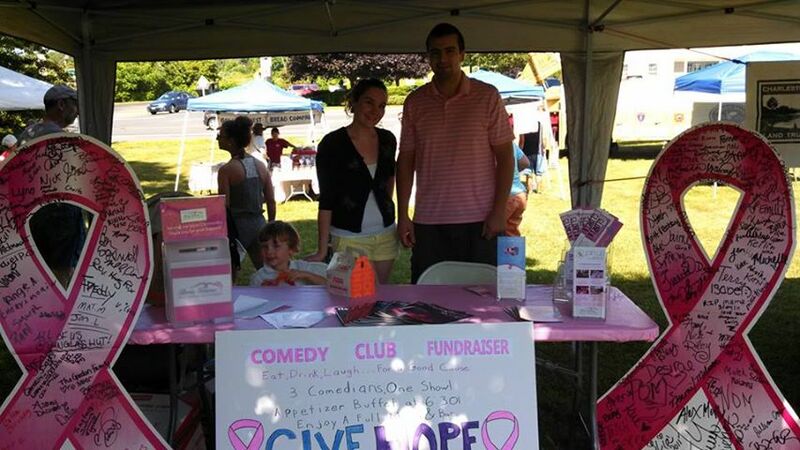 3 Non profits visited the farmers market on 7/5/13! 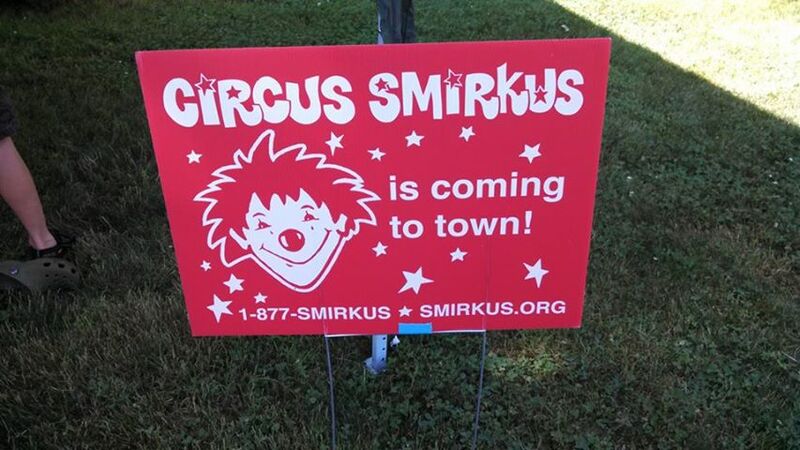 Meadowbrook Waldorf School is hosting Circus Smirkus this year and was selling tickets and had a few things for the kids to try their hand at! Fun times at the farmers market! 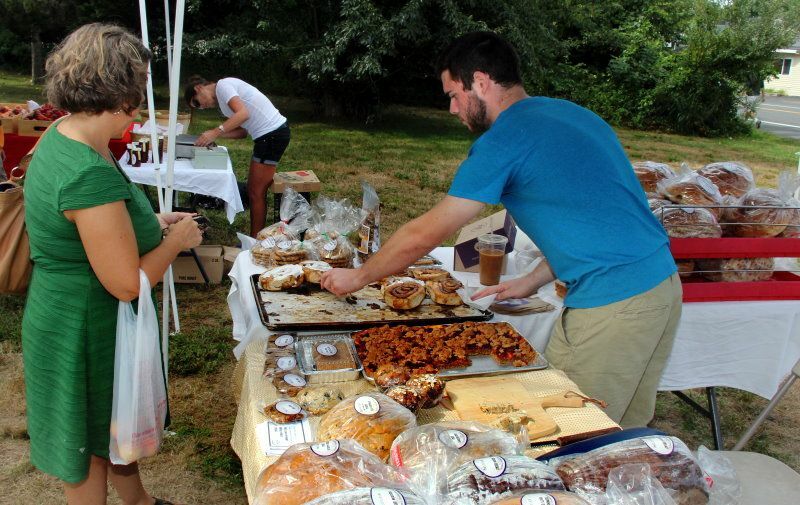 Meet the 2013 CLT Farmers’ Market Vendors! 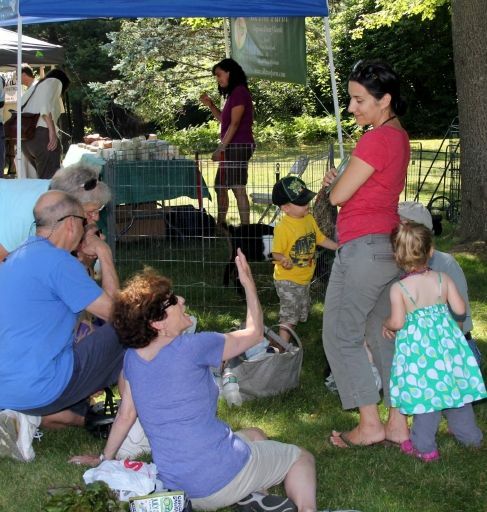 Charlestown Land Trust Farmers’ Market Vendors for 2013. Check out this range of choices to fill your local market needs and delight your senses all summer long. There are baked goods form Great Harvest and Provencal Bakery along with special sauces and salsas from the Meadow Brook Inn. 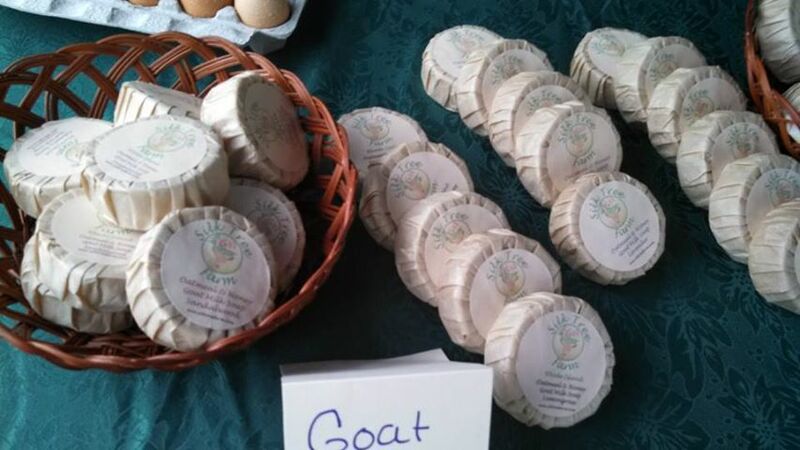 Silk Tree Farm has eggs and goat milk products…with baby goats adding their “voices” to the sounds of the market . 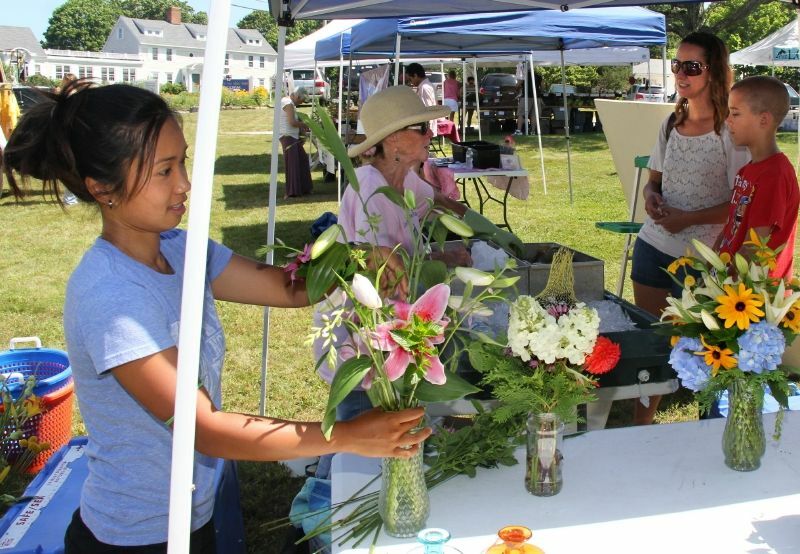 Locally grown cut flowers from Petals and flowering perennials from Haven’s Nursery brighten the market scene. 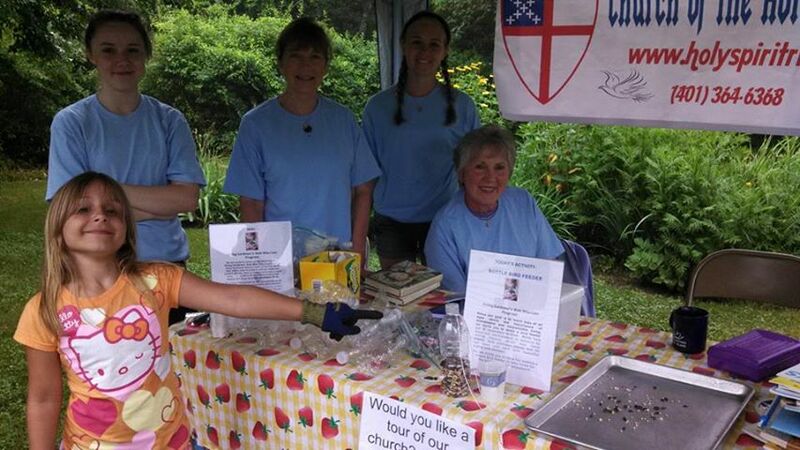 And the Worm Ladies of Charlestown offer ways to improve gardening practices. Jewelry and flowers are featured by Entwined. Most all of these items can be transported using oil cloth bags from MIO Bags. The Carolina Fiber and Fiction group can often be seen weaving and spinning handmade items before the eyes of those strolling through the market. 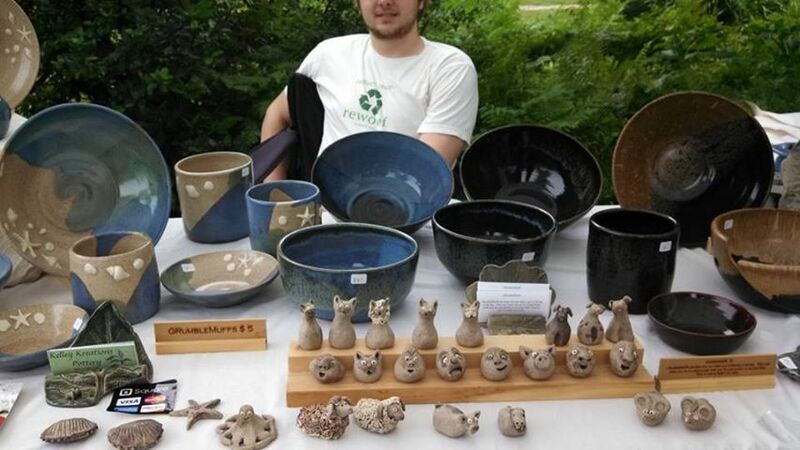 Kelley Kreations offers nature inspired pottery. And for the sheer appreciation of the beauty of our part of the world there is the photography of Sand Hill Cove…which features locations all around South County. 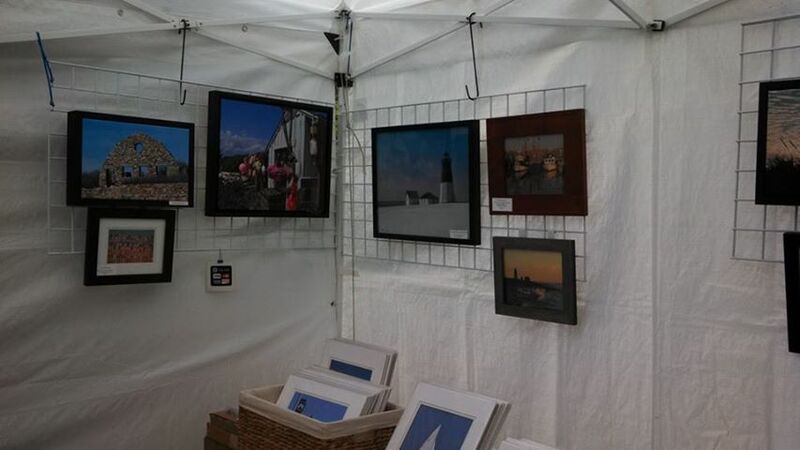 Keep your eye on this section of the blog to learn more about each vendor. 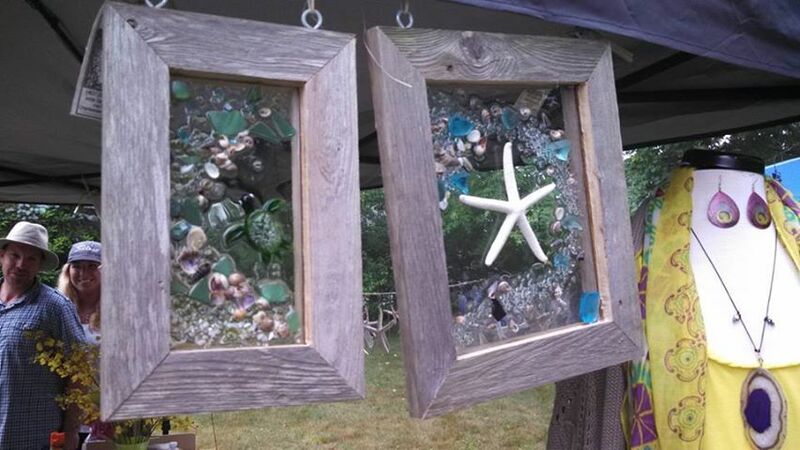 We plan to feature info about one “old” and one “new” vendor each week. But best of all, stop by and discover who we are! Farmers are a hardy crowd and Childhood Cancer Awareness Fire Truck is coming to the market this week! Despite the schools getting out late this year and the damp weather we have been having, the farmers market has had a fantastic kickoff. 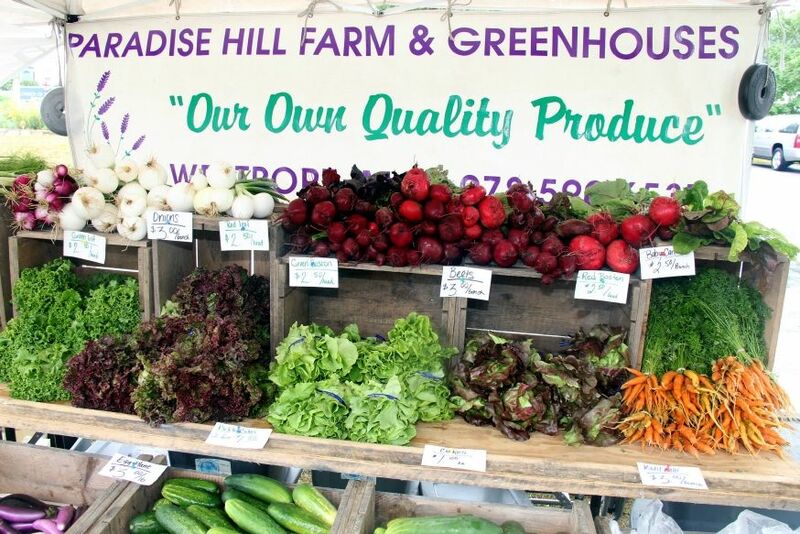 We have loads of fresh local veggies, fruit, seafood and shellfish, prepared foods and baked goods. 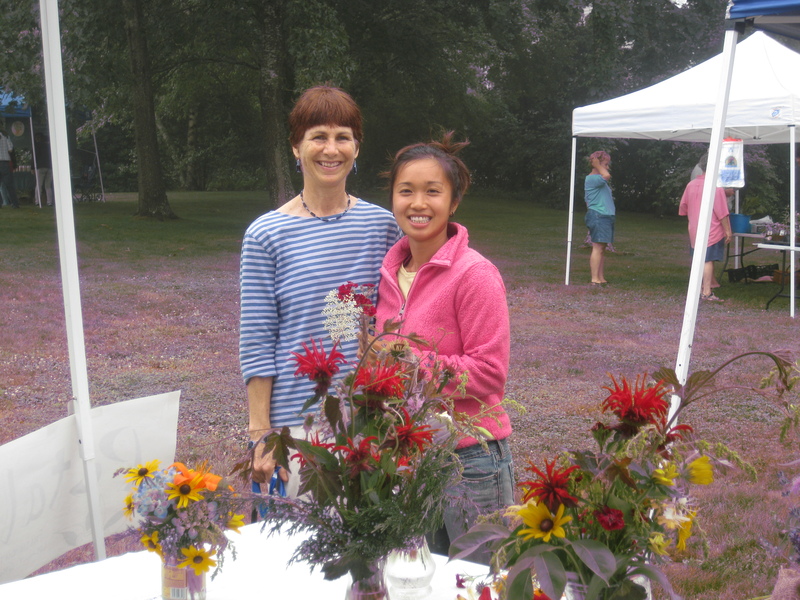 Cut flowers, perennials and herbs, beautiful artisan products and all natural health and beauty aids. 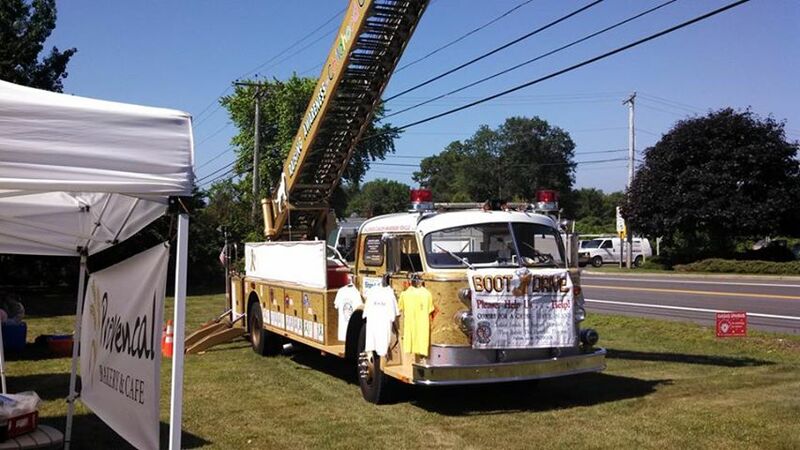 This week the Childhood Cancer Awareness Fire Truck will be paying us a visit on Friday July 5th! The kids can climb on the truck. The children are also learning about composting and gardening at the community garden on the grounds as well as participate in guided crafts. On fair weather days, baby goats come to play. Stay awhile and listen to the strolling music of Mike Bussey. A great way to start your weekend. We are open Fridays from 9:30 am to 1 pm at 4150 Old Post Road, Charlestown on the grounds of the Church of the Holy Spirit. The Perfect Place to Be? Taking Care of the Environment Starting Right Here in Charlestown!